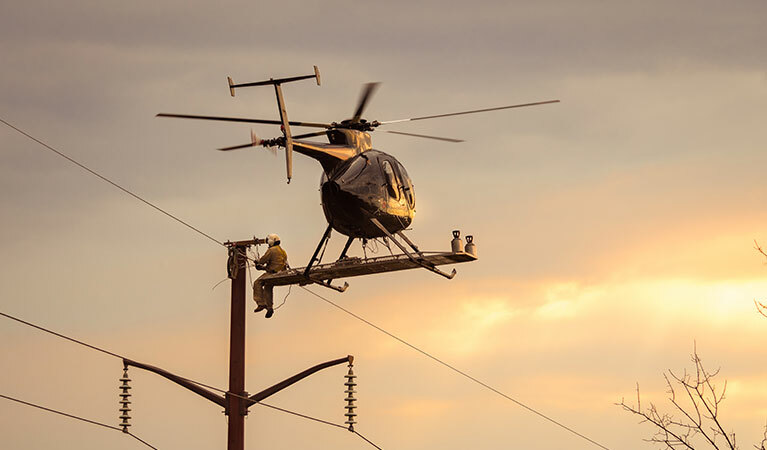 Learn more about how helicopters benefit can the utility industry in Connecticut. Installing transmission lines using land-based cranes is “old school”. Powerful aerial cranes are adept at stringing lines with mind-boggling accuracy. Some of these massive aircraft have a lift capacity of 25,000 lbs. When this level of precision is required, FairLifts is your source for locating an affiliate in Connecticut. We can reserve a construction helicopter with a skilled pilot that knows the area and puts safety first. Hard-to-reach areas are a piece of cake for an experienced pilot. These helicopters must be able to finesse flying under 1000 feet to delicately install poles and string lines. 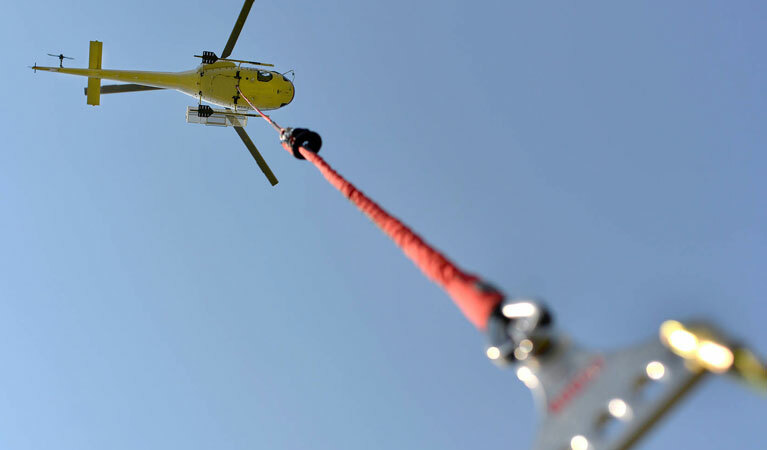 Using helicopter services can accomplish much more in hours or days, compared to weeks or months of extra work and cost. Connecticut is blessed with a rich history, a strong maritime presence and a diverse topography; Connecticut generates one of the nation’s highest per capita incomes. That translates into lots of business across the state. With vibrant coastal areas and booming industry in the industrial sectors, there’s a vast area needing connection. FairLifts can help by arranging a Connecticut transmission line construction helicopter. A helicopter can be your best friend, getting deliveries of materials or transmission lines from the coast to remote locations in the mountainous areas of the state. With complex jobs, FairLifts works with operators who can, at times, serve as logistics experts who will advise on the quickest and best ways to get poles placed, towers built or wires strung. When construction plans require moving gigantic girders, trees or debris; a heavy lift helicopter reduces time and costs. FairLifts reserves for professional operators who can assist with logistical advice on getting a big job done safely for the site, the helicopter crew and for your ground teams. Imagine a high wire act. A lineman works on a tiny platform under the helicopter. As the helicopter hovers or flies close to the ground; the worker does the delicate work of stringing wires. It takes effective training to know how to avoid live wires with heavy voltage. This takes precision and the pilot’s commitment to safety. The helicopter perches heavy equipment or machinery on top of buildings or in inaccessible, mountainous locations. This kind of work takes confidence and experience. FairLifts has affiliates who can make it happen, saving you time and money. With the diversity of Connecticut’s landscape, aerial site inspections are the way to go. Helicopters can easily navigate under 1000 feet. Many helicopters are equipped with state of the art cameras and other thermal imaging technology. This cuts down on errors in inventory assessments and other problems. Construction helicopters and aerial cranes have the expertise to do logistical transport of massive equipment like engines, boat parts or other kinds of bulky machinery to remote areas of Connecticut. A call to FairLifts will connect you with a knowledgeable representative who can explain all your options. Experts are standing by to get you a fast quote for your transmission line job in Connecticut! FairLifts agents are available 24/7 to provide you with information regarding all of the utility installation services at your disposal via local operators. 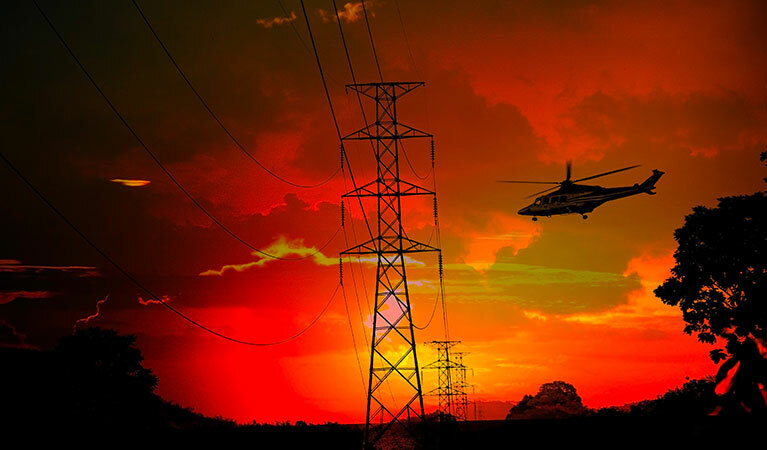 From Connecticut transmission line construction to the simple movement of personnel to remote or offshore locations, we can coordinate your project's helicopter applications from start to fruition. Call us any time. We’re here to assist you.